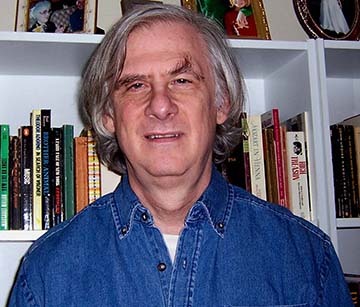 Roger Rudenstein: Life, Love, Compositions and Political Satire. 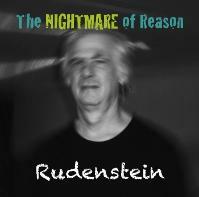 Roger Rudenstein, Composer and classical writer, has his sights set on breaking through to European audiences. But what is he trying to say? Based in New Hampshire in New England USA, Roger has managed to accomplish a long list of accolades, through his work in classical operatic pieces. His past work has consisted of politically driven, relevant and hauntingly comedic stage shows like ‘Full length’, ‘The Devil and George Bush’ and ‘Ulysses‘ (based on James Joyce’s novel). He has a number of Musicals, Operas and compositions he has put his hand to, but his politically focused pieces have gained much traction, such as an article in the New York Times and over 100,000 streams on Souncloud. It is easy to see why, other than the compositions being beautiful and elegant, yet possessing a serious and thrilling, the bold and truthful messages behind the pieces speak for a large number of people, especially with the recent ‘Donald Trump’ inspired ‘Hail to the Thief’. Roger had studied music, and learned with Chinese-American composer ‘Soong Fu-Yuan’ and ‘Walter Hilse’, a Composer from New York City. A lot of his work show his reflection or outlook on life, love and our precarious day and age. Pallab Sarker, born in Bangladesh, and raised in Peterborough, has kept true to his heritage and has had music as part of his life at an early age. 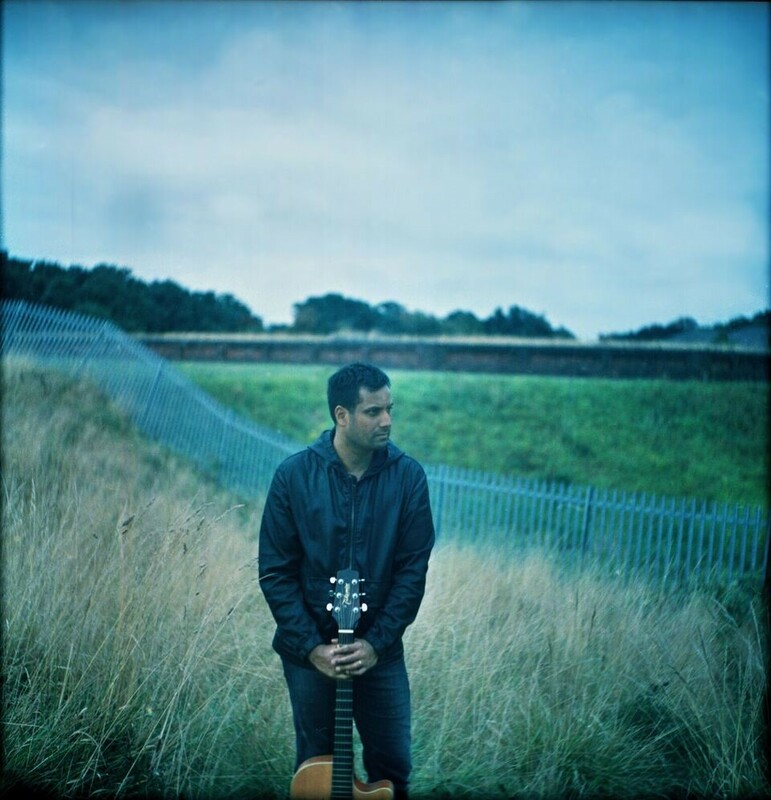 Pallab has now pushed his new solo-acoustic career to new heights, with new single ‘Not Gonna Fall in Love with You’, as well as brand new album ‘Grey Day’. However, this was not always set in sight for the singer-songwriter. 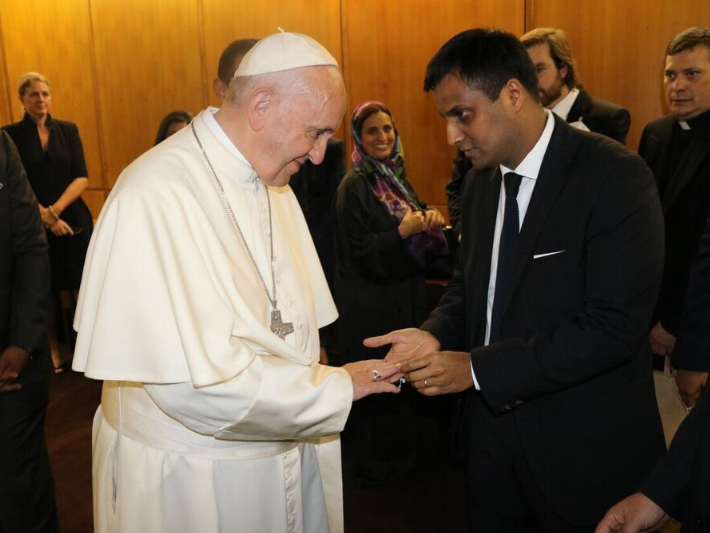 Pallab was the former Ministerial press advisor, communicating and assisting to the Ministers as well as VIP’S, which meant a very special experience with his holiness Pope Francis. In this interaction, Pope Francis personally blessed Pallab with rosemary beads as a gift to his Italian in-laws, and moment he will “Never forget”. To understand where his sweet, melodic yet pulsating music style came from, you must first know what has led up to the launch of his solo exploration. His parents decided to immigrate to England after escaping the Bangladeshi war for independence in the 70’s, where they moved to Peterborough. It was there were this future song-bird would grow up and get involved in music. However bigger sights and sounds were calling, so off to London he went. Pallab decided to relocate to London in his early twenties. It was here that he had been thrown into the whirlwind of the Brit Pop scene, which he then formed a band called, ‘ICON’, who gigged constantly and were strong contributors to the lively scene. Now living in Walthamstow, Pallab has gained knowledge and experience from around the world, but uses the vibrant and culturally diverse art scene of South London as main inspiration for his music. You can see it clearly as the main focal point for his most recent single ‘Morning in Brixton’, and now has a new single out called ‘Not Gonna Fall in Love with You’. UK music is at a good place right now, and it will be in an even better place when this artist breaks out of Nottingham and bursts onto the scene with his latest single ‘TLC’. I had some guitar lessons when I was 11 and learnt a few of my favourite songs and was hooked from that point onwards! Playing your own music is cool. To play live in as many places possible in front of anyone possible is great. If I can manage that in countries across the world that could be cool. When I was s kid I wrote songs, they were terrible!!! but they helped me express whatever it was I was thinking about at the time, which was cool. After co-writing in bands through collage and stuff I began to seriously write my own tunes. Some of them even made it on the album, I’m always writing. This is hard!! When I really started to find my singing voice I listened to a lot of Paul Rodgers. Also Janus Joplin, she was an incredible woman as well as having an awesome voice. As far as song writers go I have listened to a lot of Bruce Springsteen over the last few years. He’s a man who can tell a story or two! And the music is so well crafted and ‘full’ it’s great. Karmilla is based in Reading UK. There is a cool music scene there, and with the Festival taking over once a year, the town gets really busy. There are a few cool ‘music’ venues. All the pubs play live music too which is cool. ‘Third Lung’ are a rock band who can pack a punch! Defiantly a credible band to look out for. By 2 accidents in my life. 10 years ago I have visited Bengalure (India ) with official delegation for educational conference . During that conference we have travelled through the jungle . While there we met with a local tribe that have travelled 15 miles to ask for some sweets and sugar . This tribe apparently was not lured or influenced by civilization for last 5000 years or so. Before asking for sweets they decided to perform a fire dance and songs ceremony. Our minds were crashed and we got crazy while they were performing their natural movements and sounds. I started to recognize music from all corners of the world – Gypsy , irish , Russian , Turk , Chinese , jazz, African … It was a cultural shock really for me. I thought “this is really the source of music” It changed me a lot . I want my people and friends simply celebrate their life with my music. I want people to wake up an realise there is no problems in the world , its just adventure ! They all have energy, a catchy melody, and a true message. It is a great pleasure for me to share my life experience in my first album on itunes and on Google play “Call of Ancient Love “ where everybody can find natural joy with each rhythm of breath in and smooth peace with each breath out . My fans are simply letting go of their worries and regrets while diving into my first album trip. And those who want to jump and dance you are welcome to download my 14 remixes on the same tracks that I released on June 9th 2016 are on Itunes as well . My team and myself are based in Moscow , though we loved to travel with our show in different places worldwide from Mongolia sport arena to FIFA HQ in Zurich , from Berlin Olympic stadium to Usadba Jazz Festival in Moscow. My favourite venue – is any big stadium! You are welcome to download my music on Itunes, Soundcloud or from my site stangemes.com.